With the Red Tide causing our beaches to become less than ideal for a weekend trip, we have gathered some information to help you on your next trip to the beach! 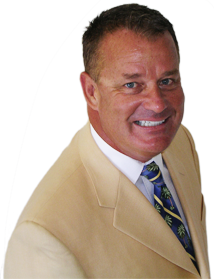 Most common way to be sickened by Brevetoxin? Is it ok to eat Shellfish, then? Shellfish in grocery stores, as well as restaurants, are safe to eat because they are harvested from places the government monitors to clear them as being healthy to eat. How can I be exposed to it? What are the symptoms caused by Red Tide? Red/Itchy/Watery Eyes, Scratchy Throat, Coughing, and Sneezing. 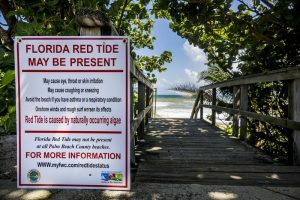 When does Red Tide typically occur? From Fall to March, typically being a winter concern. How can I know the conditions of the beach? The Department of Health has put up signs at the beaches advising beachgoers of the conditions of the red tide. Who can be affected drastically? Should I go to the beach during Red Tide? Considering Red Tide can be present at any beach and given the varying conditions it all depends on your comfortability with it. It can be more pertinent in some areas rather than others. Can I swim in the ocean during Red Tide? There is no advisory against going in the water, but common sense is needed. If it irritates your eyes, mouth, nose, or ears on land then swimming in it will irritate you as well. Don’t swim among dead fish. How far away can you be affected by the Red Tide? 1 mile, possibly up to 5 miles. What to do if you experience these symptoms/live on the beach? Move away until you find clean clear air/crank the A/C and close your windows. If your skin itches after being in the water? Rinse off thoroughly in a shower.